If you look up "The Crazies" on IMDB, the first search result you get is for the 2010 remake. And that's probably because it has over 87 thousand user review scores. 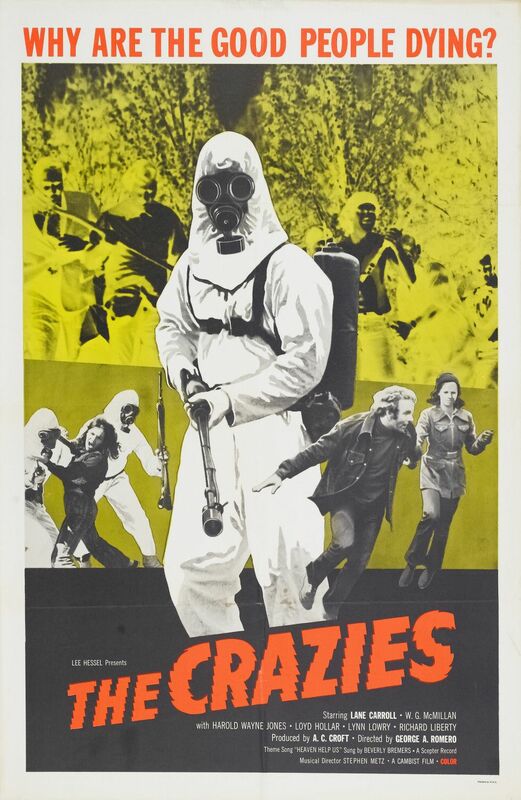 The original 1973 version of The Crazies has less than 8 thousand user review scores and let me tell you, that's a damn shame. For whatever reason I, and apparently countless other horror movie fans, had never seen this movie before. I was missing out and if you haven't seen it yet, you are missing out. It's the missing link between what Night of the Living Dead was and what Dawn of the Dead would eventually become. And yet, there isn't a single zombie in it. I agree, this one's pretty great. You should check out Martin, too, if you haven't seen it, for some more great 70s Romero. I haven't seen Martin yet but I'm definitely looking forward to it now. Thankfully, I managed to get a copy of the DVD before it went out of print.